Getting a family car is a step towards caring for your family. The vehicle will become something like an extension of your household as it will carry you and your family to where you need to go. Whether it’s a drive around the corner to the park or a trip out of town, know that your family car can get you there safely. And like a member of any family, it also needs to be taken care of to continue being an integral part of your family. Learn the Technicalities. A significant thing to learn about cars is how it works and what it needs. This is an essential aspect of cars and everything else as it teaches you what you can and can’t do to the car. Read about your specific brand and model and how to take care of it, or ask any of your friends who are skilled in fixing minor vehicle problems. Heed the Signs. Modern cars are equipped with a “Check Engine” light located on the dashboard. A lot of people choose to ignore the sign, and there are others who often drive to the nearest mechanic to get it sorted out. Although this is responsible, it is also expensive. Which is why it is good to know how to fix minor breaks yourself, to save you the trouble and the money. Consult your car owner’s manual and search online to find the solution to the problem at hand. Professional Maintenance. Aside from the basic maintenance, you do at home from time to time; it is also essential to take your car to a professional for a tune-up every few months or with few thousand miles or so. If you’re planning a long drive with your family, it is also important to get your vehicle tuned up to avoid any mishaps on the road. Petrol. There are two types of drivers in the world: the ones that let their car run on fumes, and the ones that keep their fuel levels full. If you’re the former, chances are you are breaking your car. Letting your vehicle run on fumes is dangerous as it wears out the engine faster. But if you keep your tank levels full, you are always ready for a drive and keep your engine happy at the same time. Park in your garage. 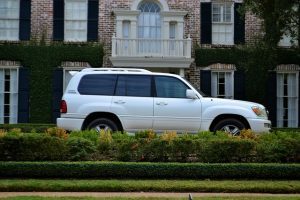 Parking your family car in your driveway or on the street and leaving it exposed to the elements is just asking for trouble. This is a great way to accelerate your car’s wear and tear as it can rust faster or wear out its paint job faster as it is constantly exposed to the heat of the sun and the cold of the night. When you take care of your car, it automatically takes care of you. It stays running, and you never have to worry about it working when you need it to or not. Another thing to remember is always to get its required type of fuel to ensure its efficiency. Having trouble with the bank in trying to get a car for yourself? Then find yourself a reliable bad credit car finance that can help you. They often offer a plan to help people make payments that fit their budget.